Bobby McKay had been an inside-forward who had won the Scottish Cup with Morton in 1921, the English League Championship with Newcastle in 1927 and had gained International recognition with Scotland. 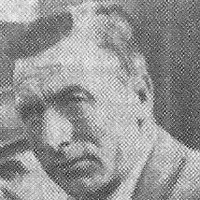 Finishing his career at Bristol Rovers, where he became a director, he was appointed Secretary/Manager at Tannadice in July 1939, replacing his old team-mate from Bristol, Sam Irving. However, just four League matches into the 1939/1940 season, the competition was abandoned due to the outbreak of the Second World War. McKay's contract was terminated after just three months and five matches.